A marijuana crime does not make you a bad person. 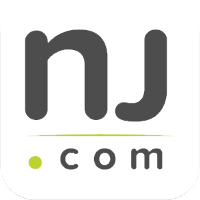 In fact, marijuana possession is one of the least serious of all New Jersey drug crimes. These days, with more and more states legalizing the use of marijuana, public opinion on pot has begun to sway in favor of allowing people to use what is considered a relatively harmless drug. However, New Jersey still prohibits the use, possession, or distribution of marijuana. As a result, you could face severe penalties even if you are caught with a single joint in Essex County, New Jersey. The Tormey Law Firm has handled countless drug cases in Orange, Maplewood, Montclair, Irvington, Belleville, and everywhere else in Essex County, NJ. Our lawyers have more than a decade of experience defending clients against marijuana possession and distribution charges. Our experience is matched only by our outstanding credentials: the firm’s criminal defense team includes a former county and municipal prosecutor who prosecuted marijuana / weed cases. We know how to beat your marijuana charges because we understand the nuances of New Jersey drug law and we know how the prosecution thinks in cases like yours. Call us today at 201-654-3464 to speak with an experienced Essex County drug crime defense lawyer. You can also check out some of our client reviews by clicking here. Simple possession of marijuana, or weed, is governed by N.J.S.A. 2C:35-10a(4). 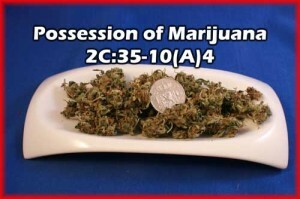 As set forth by the statute, it is against the law to obtain or possess even a small amount of marijuana. Anyone caught with 50 grams or less or marijuana, or five grams or less of hashish, may be charged with a disorderly persons offense. If you are accused of possessing more than 50 grams of marijuana, you can be charged with a felony. The substance was, in fact, marijuana. The defendant possessed, either actually or constructively, the marijuana. Additionally, the penalties for marijuana possession can be enhanced if the offense occurred within 1,000 feet of school property. In these cases, an offender will also be required to perform a minimum of 100 hours of community service. Many marijuana users are found in possession of illegal items such as bongs, pipes, or rolling papers. As a result, a marijuana possession charge is often accompanied by a possession of drug paraphernalia charge. A knowledgeable attorney may be able to challenge the prosecution’s evidence and contest the constitutionality of the police search warrant in your marijuana case. The drug defense team at the Tormey Law Firm has had great success invalidating police search warrants and suppressing evidence in drug cases because the police used improper search and seizure techniques. Even if there are no evidence suppression in your case, our attorneys may be able to get you admitted into a diversionary program, such as Pre-Trial Intervention (PTI), so that you avoid the most serious marijuana penalties. The Tormey Law Firm is prepared to fight on your behalf and help you beat your marijuana charges. We will examine the evidence in your case, scrutinize police reports, consult with experts, and do what is needed to win your case. Call us today at 201-654-3464, or fill out the online contact form to schedule a meeting at our office in Newark.